These 15 tips will help you cut fuel consumption. 1. Keep the tires inflated properly. This one is simple and a potential lifesaver. Underinflated tires waste fuel and wear out the tire tread. Also, check tires regularly for alignment and balance. 2. A well-tuned engine burns less gas. Get regular tuneups and follow through with routine maintenance. The right parts and fresh oil keep your engine happy and less thirsty for gas. 3. Get the junk out of the trunk. A weighed-down car uses more fuel. For every extra 250 pounds your engine hauls, the car loses about one mile per gallon in fuel economy. Carry only the basic emergency equipment and items you really need. 4. Buy the lowest grade (octane) of gasoline that is appropriate for your car. Check your owner’s manual for this information. As long as your engine doesn’t knock or ping, the fuel you’re using is fine. You can save hundreds of dollars a year. 5. Pay cash at stations that charge extra for credit cards. 6. Don’t top off the gas tank. Too much gas will just slosh or seep out. Why waste those extra pennies? 7. Drive intelligently; don’t make fast starts or sudden stops. You’re just overexerting your engine and burning extra fuel. Gradual acceleration also helps automatic transmissions run better. Engine-revving wastes fuel, too. 8. Lighten up on the accelerator. The faster you drive, the more gas you use. Speed limits have gone up around most of the nation, but you don’t have to see your fuel consumption go up drastically as well. For example, driving at 55 mph rather than 65 mph can improve your fuel economy by two miles per gallon. 9. Avoid long warm-ups. Even on cold winter mornings, your car doesn’t need more than a minute to get ready to go. Anything more and you’re just burning up that expensive fuel. 10. Combine errands into one trip and plan your stops for the most efficient route. You’ll save yourself time and money. 11. Do not rest your left foot on the brake. The slightest pressure could cause a drag that will demand additional gas use — and wear out the brakes sooner. 12. Tighten up that gas cap. Make sure it’s on securely. Buy a new one if your current cap doesn’t fit snugly. Gas easily evaporates from the tank if it has a way to escape. 13. Buy a fuel-efficient car. When pricing cars, factor in long-term fuel costs. Keep in mind that sunroofs add to wind resistance, lowering the mileage per gallon. 14. Be smart with the air conditioning. On the highway, closed windows decrease air resistance, so run the air conditioner. But in stop-and-go traffic, shutting off the air conditioning and opening the windows can lighten your fuel use. Air conditioning can lower your fuel economy by 10 percent to 20 percent. 15. Remove snow tires in good weather. Deep tread and big tires use more fuel. Don’t stop there! Save money on your Massachusetts car insurance as well, call us today (508) 653-3131 or get an online auto insurance quote here. You might be surprised to learn that your homeowner’s or renter’s insurance policy probably does not offer full coverage for your engagement ring and other fine jewelry. Your insurance policy probably covers jewelry theft, but not loss that occurs for other reasons. Renter’s and homeowner’s insurance policies set limits for the loss of certain categories of personal property, including jewelry. Homeowner’s policies typically pay a maximum of $1,000 for jewelry theft. A renter’s insurance policy might have a lower limit for jewelry loss–$500 is common. 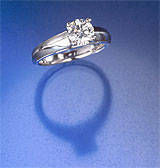 Does your insurance policy cover jewelry loss for reasons other than theft–such as for lost or damaged items? Read your policy carefully and ask your insurance agent to clarify the types of losses that are covered on your standard policy. Is there a deductible? If so, how much is it and how does raising or lowering the deductible affect your policy costs? Is an appraisal required prior to obtaining insurance? Are there only certain types of appraisers whose reports are accepted? Are the items covered no matter where they take place? Would the policy cover you for a loss that occurs during domestic or international travel? Are items covered for full replacement cost? Must you replace the item, or can you obtain a cash settlement? Does the policy cover repairs to damaged jewelry? For those in the metrowest area of Massachusetts contact us at (508)-653-3131 or visit our website https://fyins.com/ for more information. Commercial auto insurance is one of the most important aspects of your business insurance program. If your business uses a vehicle, or many vehicles, you need commercial auto insurance and you will want to ask your business insurance professional some important questions. You will also want to provide your business insurance professional with a complete picture of your vehicle use. Consider the following points and ask the following questions. How Many Vehicles and Drivers Will the Business Insure? Commercial auto insurers often separate coverage types based on the number of vehicles and drivers to be insured. 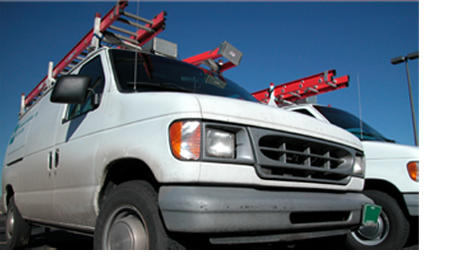 Fleet insurance is an option for businesses that will have a number of vehicles and drivers. The number of vehicles differs with each insurer and may depend on the class of vehicle. But, fleet insurance may be a less expensive alternative than individual, per vehicle policies. What is the Policy Definition of Commercial Use? Your personal auto policy will exclude coverage for commercial uses of your vehicle. A commercial policy will establish a definition of commercial use as well. It is important that you read the definition and discuss this with your insurance professional. If there is any question, it is better to obtain a commercial auto policy so that, in case of an accident, there is no chance of being uninsured. How Can You Lower Premium Costs? Business Location – the location of the vehicles determines premiums for theft. Driver Records – hire only qualified drivers with safe driving records. Choice of Vehicle – sales people may want sports cars, but five-star safety rated, domestic, mid-sized sedans have the lowest premiums. Deductibles – can your business afford part of the risk and maintain a high deductible? If so, your premiums will be lower. Safety and Anti-Theft Devices – alarms, GPS tracking, air bags, seat belts, and other such devices can significantly lower premiums. Certain businesses must adhere to federal and state regulatory standards in the operations of their vehicles. For example, if your business will be hauling cargo interstate, there are specific Department of Transportation requirements for insurance that must be met. You will need to make sure you and your insurance professional have a thorough understanding of those requirements. Also, if you will be delivering or hauling for others or using other’s equipment such as leased trailers or rental equipment, you will need hired or non-owned vehicle coverage. Make sure you know the insured. Sound simple? Maybe. But, all to often businesses set up a leasing company to lease equipment to the main company and the leasing company is the titled owner of the vehicles. A common mistake is to identify the main company and not the leasing company as the titled owner on the policy. Or, the dba of the company and not the full name of the company is listed. You want the full name of the company as an insured, the titled owner, any affiliates, and dba, and all employees as insureds on your commercial auto policy. Q. How do I cancel my Insurance/Delete a vehicle? A. Whether you sell your vehicle, or take it off the road, you need to turn in your Massachusetts (MA) plates to the Registry of Motor Vehicles and forward to us your Plate Return Receipt. For your convenience you can bring them in to our office and we can cancel them for you. If you move to another state, you must make arrangements for new plates and insurance in that state within 30 days then return your MA plates to us in order to cancel your MA policy. Q. When do I have to add my son/daughter to my Auto Policy? A. Your son/daughter needs to be added when they receive their driver’s license. Note they do not need to be added while they drive on a learners permit. Once they pass their license exam, please contact our office with their license number. Q. Who should be listed on my MA Automobile policy? A. All household members with driver’s licenses must be included on your policy as well as any customary operators. A customary operator is anyone who uses the vehicle on a regular basis whether a household member or not. Q. When I rent a vehicle while on vacation, do I need to purchase the rental companies insurance? 1. The Collision and Comprehensive deductibles on your own policy apply unless you purchase the rental company coverage which will waive your deductible. 2. In the event of an accident your MA Automobile Policy does not cover “loss of use” of the rental vehicle while it is being repaired. 3. If you do not carry collision and comprehensive coverage. Q. Do I need towing if I have AAA? A. The basic AAA membership only allows a certain number of miles per tow. Your MA Automobile policy offers two limits of coverage $50 per disablement at a cost of $8.00 and $100 per disablement at a cost of $16.00 (these are annual premiums). Please note this coverage is a reimbursement not an actual towing service like AAA. Q. I moved, what should I do? A. Contact us with your new address and you also need to contact the Registry of Motor Vehicles to change both your drivers license as well as your vehicle registrations you can do this on line at www.mass.gov/rmv or we can send you a card to complete and mail to the Registry. Q. What discounts are available for the MA Automobile Policy? A. Each company offers different discounts they include but are not limited to Low Mileage, Multi-Car, Anti Theft, Senior Citizen, Public Transit, Group Discounts, Account Credits, Good Student, Student away at school (if over 100 miles), Hybrid Vehicle, Pay in Full, Loyalty Discounts, Advanced Driver Training and more. Q. Should I keep a copy of my MA Automobile policy in my vehicle? A. If you are traveling with your vehicle out of state, or in Canada, we do recommend that you keep a copy of your Insurance Policy with you. Q. I no longer want my Social Security number on my MA Driver’s license, how do I change it? A. You can log onto www.mass.gov/rmv and go to the Replace Your Driver’s License section. The registry will send you a replacement license with a state assigned “S” number. Q. How does my odometer reading effect my insurance rates? A. With the new Massachusetts Managed Competition odometer readings are an important part of your rates. Your odometer reading comes directly from your MA safety inspection; therefore it is of the utmost importance that this information is accurate. As such you should always verify with your service station at the time of the state inspection that the odometer reading they enter is accurate… It could save you money!